After taking a screenshot of the active windows, a rectangular area, current screen or all screens, Ksnip offers tools that allow users to annotate the screenshots. You can draw with a pen, add arrows, rectangles, text, numbers and more, with configurable colors and size. Optionally, the screenshots can then be uploaded to Imgur. The new release also adds translation support, being currently translated in Spanish, German, Dutch, Norwegian and Polish. Ksnip 1.5.0 also adds various other minor improvements and bug fixes. See the full release notes. With this release, Ksnip can successfully replace Shutter in my opinion. While it may not seem like a big deal to some, the new features added with this release, like the blur annotation tool, the scaling of screenshots, the screenshot delay timer added to the toolbar, and so on, together with already existing features like 4 screenshot modes or uploading screenshots to Imgur, make Ksnip one of the best screenshot tools out there. Shutter, probably the most popular Linux screenshot tool, was removed from Debian Unstable and Ubuntu 18.10 and newer a while back, due to using some of its dependencies being deprecated / removed from Debian/Ubuntu. 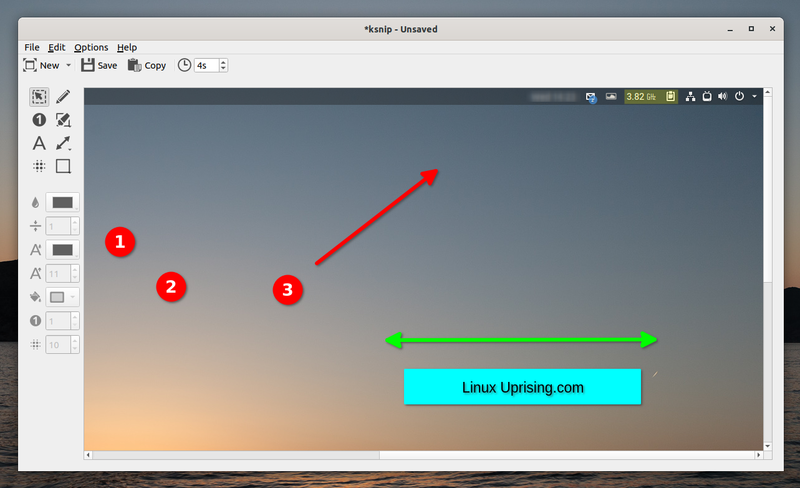 It can still be used on Ubuntu and Linux Mint by using a PPA I set up a while back, which not only offers Shutter for easy installation, but also add back its annotating / editing features. Ksnip binaries include DEB packages for Debian, Ubuntu or Linux Mint, RPM packages for Fedora or openSUSE, etc., and an AppImage that should work on any Linux distribution. There are also Windows and macOS binaries for download. Make sure you scroll down to the latest Ksnip release and download that, and not the continuous builds which contain the latest Ksnip Git code (potentially unstable).